Red Shoes – just around the corner. I have been busy editing for weeks, and today I have checked the formatting of a new anthology. “The Red Shoes” is right around the corner. 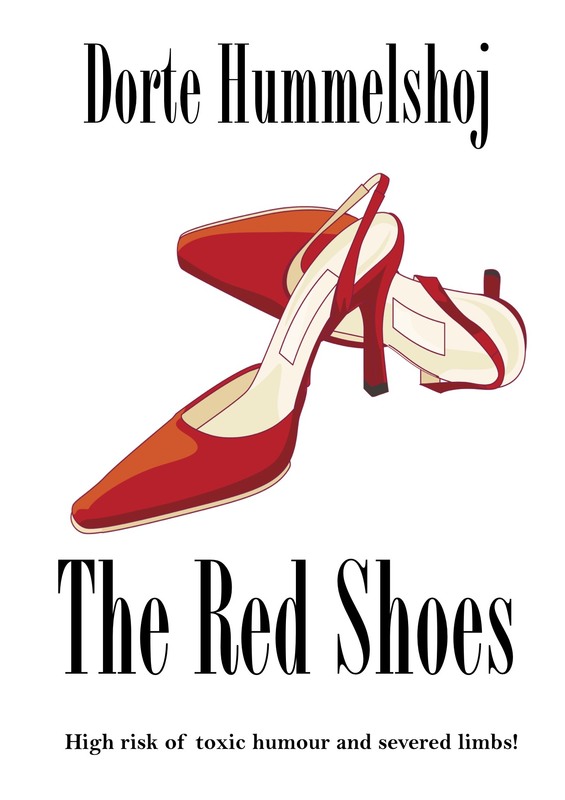 Faithful blog readers will remember “The Red Shoes” about Chief Inspector Snowflake who cannot resist a pair of shoes, “The Blue Vase” with the two boys who visit granny and find something odd in an old trunk, and “Zed Alley”, now called “A Study in Black” about Rhapsody who participates in her first crimefest in Bristol. And then there is the brandnew story “Green Acres”. The collection will be for sale on Amazon very soon, but I have sent out a few review copies to make sure I will get some reviews while the book is new. And if any of you want a free review copy, please whisper it in my ear, because you have all done so much to help and encourage me that I can never thank you enough! This entry was posted in cozy mystery, Gershwin & Penrose, publication. Bookmark the permalink. 2 Responses to Red Shoes – just around the corner. Dorte – I am so looking forward to your anthology! I think you chose some fine stories for it.